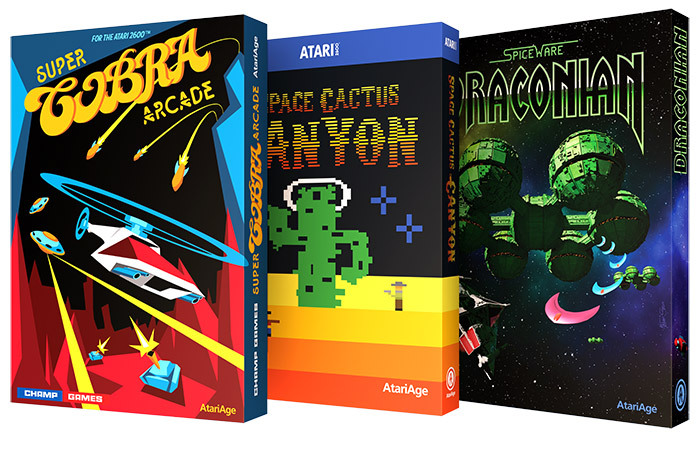 AtariAge will have a large booth at the show, where you'll be able to play new and upcoming homebrew games, as well as our large back catalog of games we've published over the years. We'll also have several new games available to purchase for the first time in Portland--watch for those announcements coming soon! As 2017 is the 40th anniversary of the Atari 2600, the PRGE organizers have announced a great lineup of panels celebrating the Atari 2600's rich history. One of these panels is titled, "Old Consoles Never Die", discussing the creation of new games for the Atari 2600 and other classic systems. The panel will be moderated by "Art of the Atari" author Tim Lapetino, who will be joined by homebrew authors Darrell Spice, Jr. (Medieval Mayhem, Space Rocks, and Stay Frosty 2) and John W. Champeau of Champ Games (Lady Bug, Conquest of Mars, Scramble), Atari alumni Howard Scott Warshaw (Yars' Revenge, Raiders of the Lost Ark, E.T. the Extra Terrestrial), and Albert Yarusso, owner of AtariAge. It is with great sadness we report that Atari enthusiast and homebrew programmer Ken Sider has unexpectedly passed away at the young age of 49. Ken was best known in the Atari community for developing the games Beef Drop for the Atari 5200, 7800, and Atari 8-bit computers, and b*nq for the Atari 7800, ports of the popular arcade games Burgertime and Q*bert. Both of these games were initially revealed as April Fool's jokes on the AtariAge Forums over a decade ago. It always brings us great sorrow when such a talented and friendly individual is taken from us before his time. Ken provided friendly, technical advice to anyone who asked, and he will be a great loss to the classic gaming community. 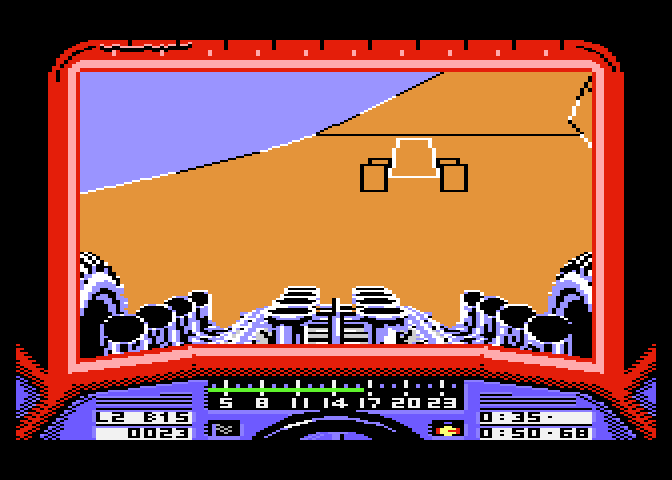 You can learn more about Ken's games and the utilities he programmed for these systems on his personal page, and you can discuss and honor his passing in our forums. Ken's games will continue to spread happiness to all they touch, and we offer our condolences to his friends and family. Ken, may you Rest In Peace and forever inspire and bring warmth to those whose lives you touch. Condolences may be left here. 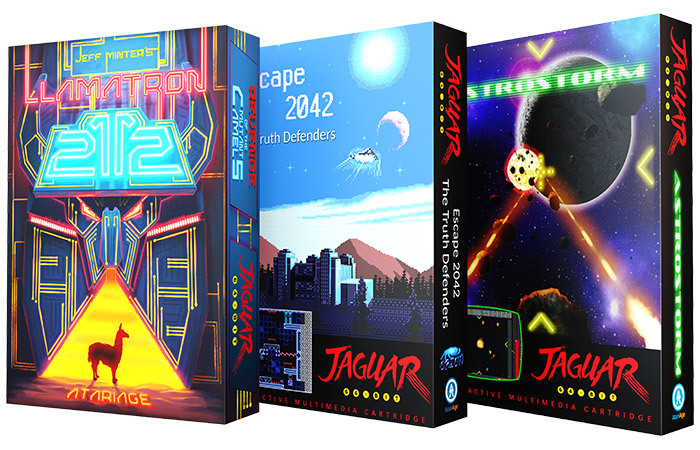 New 2600, 5200, 7800 Games in AtariAge Store! You can also browse all the newest games here. Gamers behind the Replay Foundation & PAPA are taking over the David L. Lawrence Convention Center and filling it with more than 750 arcade and pinball machines, over 2,000 retro console games, tabletop games, a showcase of new products by game developers, magicians, live musicians, balloon artists, face-painters, competitions offering over $110,000 in prize money, and more! The ReplayFX Arcade & Video Game Festival will feature the largest public collection of working pinball, arcade, tabletop, and console games anywhere in the solar system, and all games are free to play with the price of admission! Attendees are also invited to attend a series of seminars dedicated to gaming and its associated tech-culture, browse merchandise in the marketplace, watch the world’s greatest pinball wizards compete in the Pinburgh Match-Play Championship, or enjoy a series of fun and wacky daily challenges at no additional cost! ReplayFX will include multiple live music performances, a high-energy cosplay contest, inflatable obstacle courses, and more in a show floor packed with over 200,000 square feet of entertainment! Over $110,000 will be at stake for the competitive player. Thousands of games will be available for the casual fan. A family-friendly atmosphere will be available for the kids, and no one has to leave the galaxy to attend! You can learn more about the event by visiting ReplayFX.org. The term "Actiplaque" refers to the label mottling that is common to Activision cartridges.